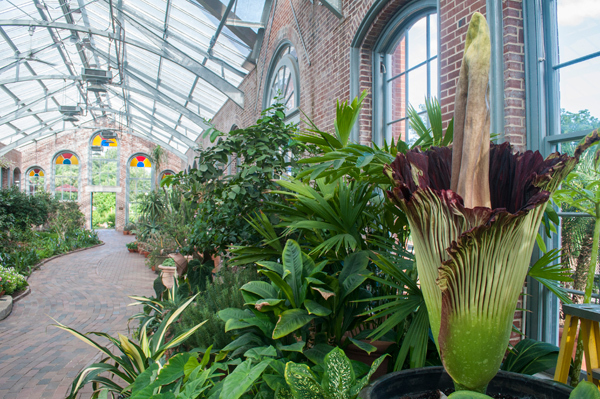 Nona, the ninth Amorphophallus titanum to flower at the Garden, has completed her bloom cycle. Thank you to everyone who visited the Garden to see (and smell) her! Support the care and cultivation of this unique plant and thousands of others by making a contribution to our living collections managment.